AT&T on Wednesday officially announced its new Mobile Share Value plans that are meant to save new and existing customers on monthly data costs, and will help AT&T become even more aggressive against competing plans from Verizon and T-Mobile. First, AT&T used to charge $50 to add a smartphone to a 300MB plan, $45 to add one to a 1GB or 2GB plan, $40 to add one to a 4GB plan, $35 to add one to a 6GB plan, and $30 for any plan with more than 10GB each month. Now, it’s a flat rate of $40 per phone (but $25 if you have your own device, more on that in a moment), and the prices for each bucket are lower in some cases. You’ll now pay $40 for 1GB of data each month instead of $45 and $50 for 2GB instead of $55. AT&T is also adding a new 8GB plan for $90 per month, and also dropping the prices on its larger data buckets. 10GB of data is now $100 instead of $120, 15GB is $130 instead of $160, 20GB of data is now $150 instead of $200, 30GB is $225 instead of $300, 40GB is $300 instead of $400, and 50GB of data is available for $375 instead of $500. AT&T expects customers to save anywhere between $20 and $105 per month, or an average of $28, depending on the plan you have. Now, if you have a phone without a contract, whether you purchased it from AT&T or your contract has expired, you’ll only pay $25 per month. AT&T says this discount will automatically take place for customers who finish their contract, and also applies to customers on its Next early upgrade plans. That’s a savings of $15 per month per device. Finally, AT&T is adding a new way to partake in its early upgrade AT&T Next plans. Right now, you might pay nothing down and then pay an installment payment each month for 20 months, for the option to upgrade early once every 12 months. AT&T’s new Next plans allow you to upgrade after 18 months, instead of after 12, so your monthly payments are spread over 26 months instead of 20. You end up paying the same amount of money for your phone, but your monthly payments will be lower. The new plans will be available on Sunday. DALLAS, DEC. 5, 2013— AT&T’s* new Mobile Share Value® plans will make it even easier for customers to share data and save money while enjoying the nation’s fastest and most reliable 4G LTE network.1 Beginning Dec. 8, new and existing wireless consumer and business customers will have the option to choose from new Mobile Share Value plans. The new plans offer customers more savings and provide ‘No Annual Service Contract’ options. With the ‘No Annual Service Contract’ options, smartphone customers can save $15 a month on Mobile Share Value plans.2 Customers can receive these monthly savings when they: Get a new smartphone for no down payment with AT&T Next; bring their own smartphone; purchase a smartphone at full retail price; or when their smartphone is no longer under contract and they switch to the new plans. All Mobile Share Value plan customers will benefit from shared data plus unlimited talk and text on their phones. Consumers will have the ability to connect up to 10 devices, including tablets and other wireless devices, while business customers will be able to connect up to 10, 15, 20 or 25 devices, depending on the plan. · It’s never been more affordable to get on the nation’s fastest and most reliable 4G LTE network. For only $45 a month, smartphone customers can now get unlimited talk and text plus 300MB of data.3 Qualifying smartphones can be added to any Mobile Share Value plan for $25 more a month per phone; tablets can be added for $10 more per device. · Customers with basic and messaging phones can enjoy a low monthly rate of $40 for unlimited talk, text and 300MB of data.3 For $20 more a month per phone, additional basic and messaging lines can be added to any Mobile Share Value plan. · In addition to the 300MB option, AT&T Mobile Share Value plans offer data options ranging from 1GB up to 50 GB, all with unlimited talk and text. 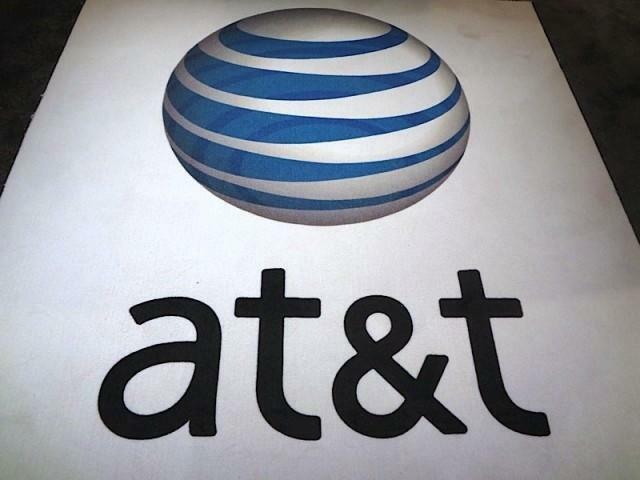 “AT&T is also adding a new AT&T Nextsm plan with an 18 month upgrade option on Dec. 8. It will be available to consumers for up to four smartphones, and to select small business customers, who may provide employees with up to six company-owned devices.3 The new plan will make monthly smartphone payments even lower than the existing AT&T Next option, by spreading payments over 26 months and giving eligible customers a way to get a new smartphone after 18 monthly payments for no down payment, no upgrade fee, no activation fee and no financing fee. All plans include access to AT&T’s nationwide Wi-Fi network at no additional charge.5 Customers can learn more about the new plans and determine which plan is best for them at www.att.com/mobilesharevalue.